Ronny Dahl has made a name for himself through his passion for 4WDing and the great outdoors. He has a popular YouTube channel dedicated to his builds, adventures and his 4×4 lifestyle. We recently caught up with Ronny and asked him for his thoughts on what makes the ultimate 12v system. I’ve been travelling to remote and local areas for a long time, doing DIY setups along the way with electrical gear trying to get to the ultimate setup. I’ve made a few good electrical combos for my vehicles in the past, but there always seemed to be something missing or not quite right. Whether it was too complicated or just had too many components to get things right, it always seemed to leave everything in a mess. Wiring as we all know is very hard to keep looking neat, and keeping things neat means fewer problems which means if there are problems they are much easier to fix and locate. Then came the 5th major electrical build, my 79 series Landcruiser. I wanted its layout to be neater than ever, keeping things compact, easy to install and trustworthy just like my Toyota. Luckily, I’d been speaking to a fella I met at the 4wd show in Perth by the name of Scott M who just so happened to be a REDARC and electrical guru which lead to my best and neatest setup yet! Finally, I now have a system that I’m happy to use without worrying about damage or wear and tear from harsh driving conditions. 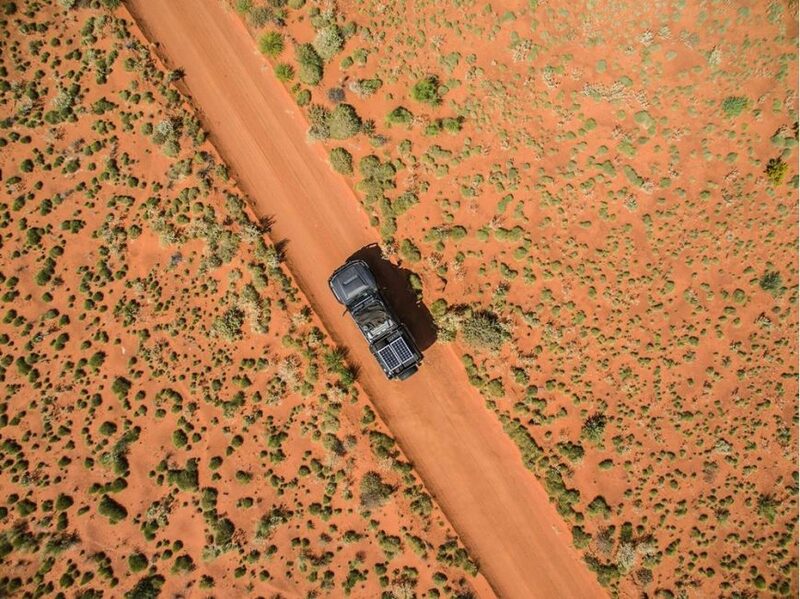 And yes, I’ve taken this system on some harsh trips through deserts, remote beaches and the crazy tracks of the WA South-West region. 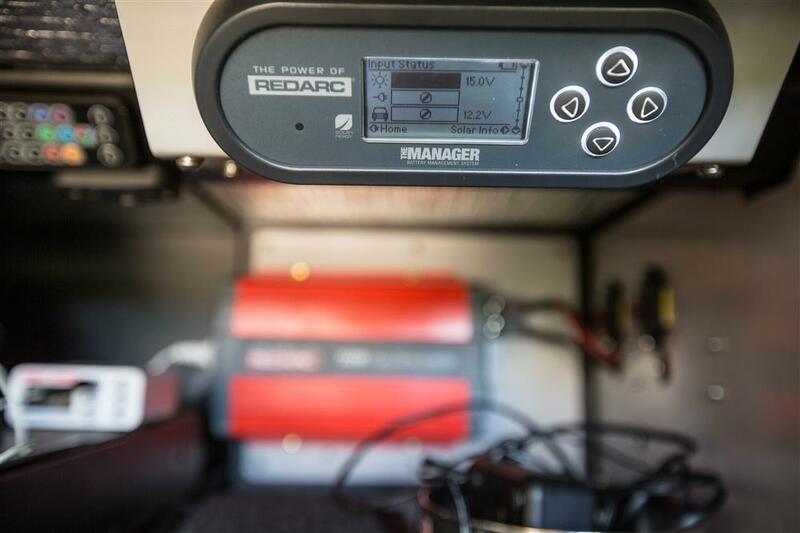 This unit is REDARC’s Battery Management System, The Manager30. The Manager30 takes care of all current coming in and going out. It charges my AUX battery via the vehicle, AC power and/or solar. This covers pretty much everything you’d ever charge from and keeps you going out in the bush for longer, provided you have solar panels or a solar blanket. In my setup, I only run a single 110amp AGM battery (not enough juice but more on that below) with 2 fridges, LED camping and canopy lights, 750 watt Pure Sine Wave Inverter and various battery charges for camera gear. Because I have solar panels (Two REDARC portable solar panels at 80watts each totalling 160watts) I can just get away with that single battery if I only stay somewhere for less than 3 days and don’t park in the shade. As you see my setup is at the bottom of the pile and I will be changing my battery to Lithium at some stage. So why Lithium? Lithium batteries are usable all the way down to 20-25% without damaging the battery. Most other batteries like the AGM can only drop to 50% before irreversible damage happens to them. What does this mean you might ask, well a 100amp hour AGM really only provides you with 50 amp hours. By the time it drops to 50% the volts will drop and the amps will increase. Remember your system runs on 12v, not 11v and 10v. Once you drop to 10v the battery is getting damaged and the amps/current being drawn has increased to a point it could melt wires, damage electrical units and potentially start fires! 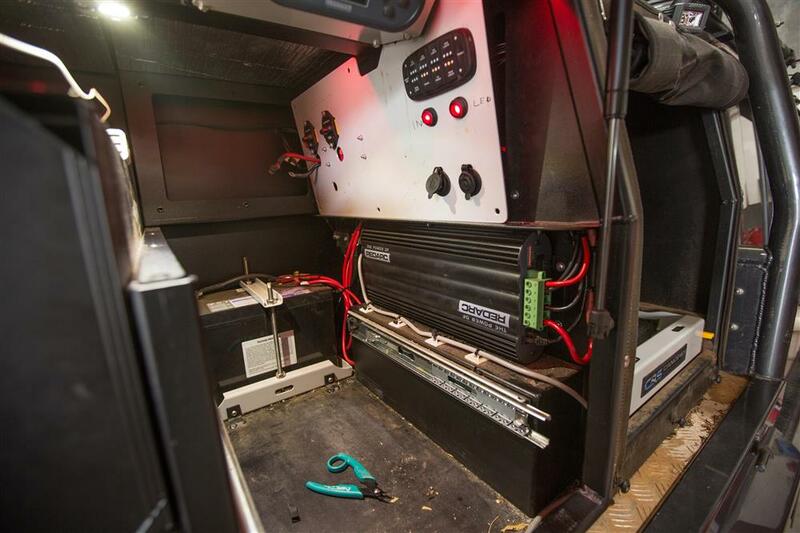 A Lithium battery, on the other hand, will maintain useable safe power down to 20-25% meaning 100amp hour battery provides 80-75 usable amp hours. But wait, there’s more! Lithium batteries charge about 5 times faster than AGM batteries so the solar is more effective too. What I’m trying to say is make sure you have 2 AGM batteries or 1 good Lithium battery otherwise you can have the best system in the world but not enough juice to go with it. Take this from someone who has to start-up the vehicle in the bush and idle for 1hr to charge the battery and plug it into the AC at home when parked up. One more thing, we all like to park in the shade, right? Well in WA summer shade keeps you alive and although fixed panels are great, a solar blanket is way better as you can move it around and have greater flexibility. You could move panels around as well, but a blanket is easier to carry and throw around when you need to harness more of the suns energy. My approach to products and sponsorships are very different from most others because I do not accept money to say things are good, I leave that to the TV guys. So when I recommend a product it is my honest and true opinion! Would I recommend The Manager30? Yes, I 100% would, but you need to take into account all the things you need to get it to work well. 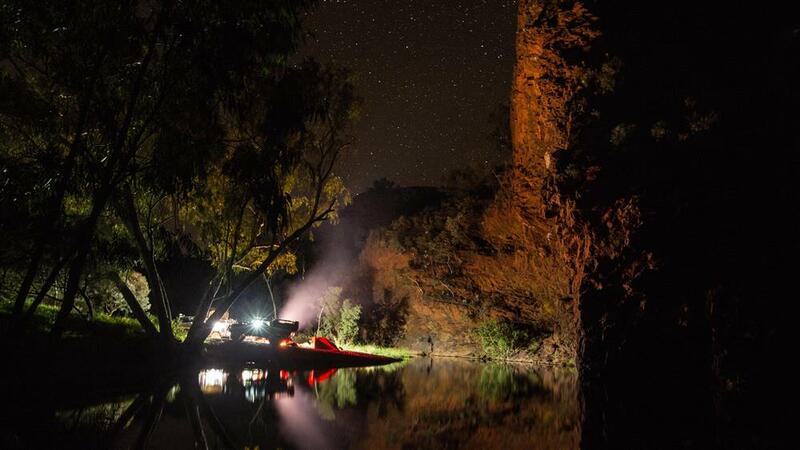 Make sure you have adequate amp hours in the system for your type of travelling and camping. It’s not a cheap system and should not be paired up with cheap units. You get what you pay for and this system is for the traveller not so much the weekend warrior. Last but not least, make sure you find a good installer, because the product is only as good as how well it is installed. You can get more 4×4 expert advice and keep up to date with Ronny’s builds via his website, his YouTube channel or by following him on Facebook and Instagram.